An infinity edge spa design set within the inground pool. A set of stepping stones take you over the pool surface to the spa. The surrounding areas are planted with ornamental grasses and perennials. 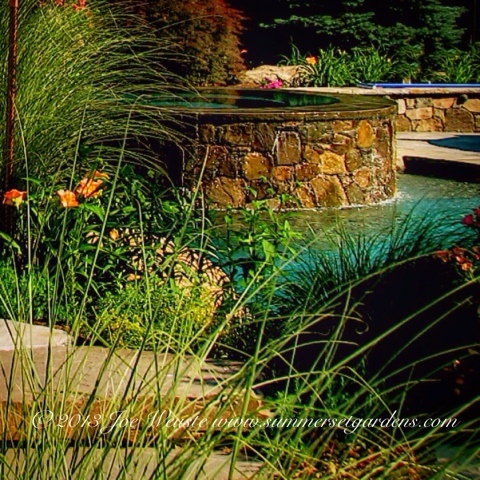 Landscape architecture, swimming pool design and construction services in the NJ and NY areas.